We are pleased to introduce two new data visualizations. Both are map visualizations. 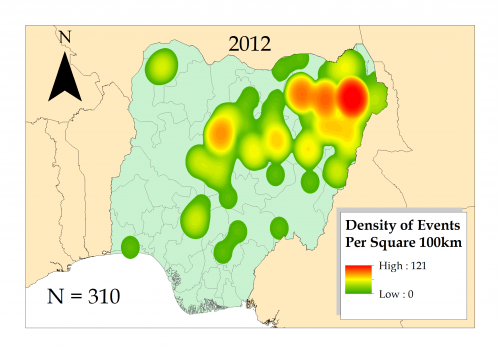 First, there is the map of Boko Haram Conflicts in Nigeria. It is a kernel density map showing the concentration of events. 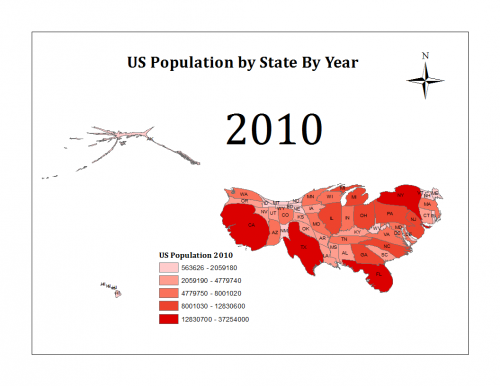 Second, we have a Cartogram of U.S. Population by State & Year. This map distorts the size and shape of each state to reflect its population relative to the other states. Click on either of the maps to go to the visualizations to explore!